Tomorrow there will be a garbage clean-up in Mount Dennis. Meet at Weston Road and Dora Spencer at 10 am. 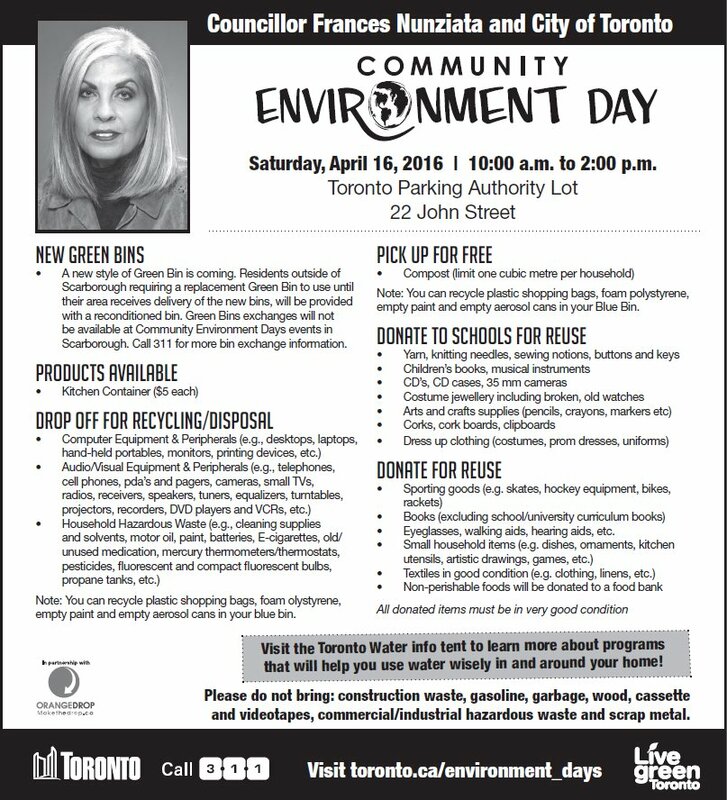 The annual Environment Day will be tomorrow at the John Street lot starting at 10. The Weston Community Clean Up will be at Elm Park from 10:00 until noon on April 23rd. A second clean up will be the 30th at the BIA. Frontlines will have its annual fundraising dinner at the Weston Golf and Country Club, 50 St Phillips Rd on April 23, too. Mike Mattos will be leading a Jane’s Walk entitled “In search of the lost piggery” on May 7. It will be an “investigation of two major catastrophes of the 20th century”: tuberculosis and Hurricane Hazel.